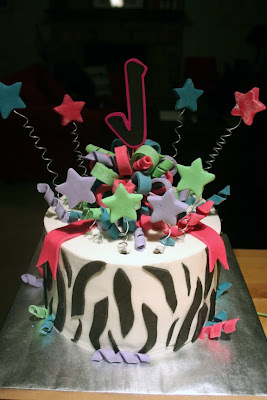 This first cake of the weekend was made for one of the cutest girls I know! 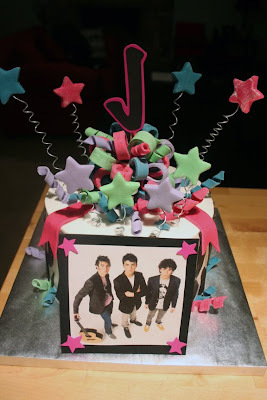 She's a big Jonas brother's fan so I combined the design of a two tiered cake that she and her momma liked and came up with this! It's all chocolate with vanilla buttercream and fondant decorations. I printed the picture off myself and attached it to a piece of foam board for the final touch! I'll post the picture of our other major project this weekend as soon as it's picked up tomorrow! Wouldn't want to give it away just yet! wow, this is realy really cute!